June 20, 2018 By Aileen 33 Comments This post contains affiliate links. As an Amazon Associate and member of other affiliate programs, I earn from qualifying purchases. 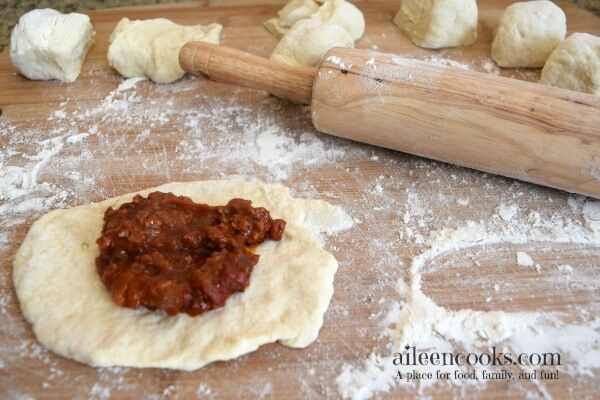 Easy and mess free sloppy joe pockets made with a simple sloppy joe recipe and wrapped in our favorite biscuit dough. I love Sloppy Joes because they are kid-friendly and frugal. With just a few ingredients, you can throw together a filling and delicious meal that satisfies the whole family. They are also versatile as you can throw in whatever veggies you have on hand and it will still taste great thanks to the sauce. 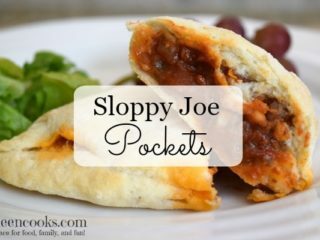 This sloppy joe pocket recipe is different than this sloppy joe recipe I have shared in the past. Both are delicious, this is just a different take on the same dish. 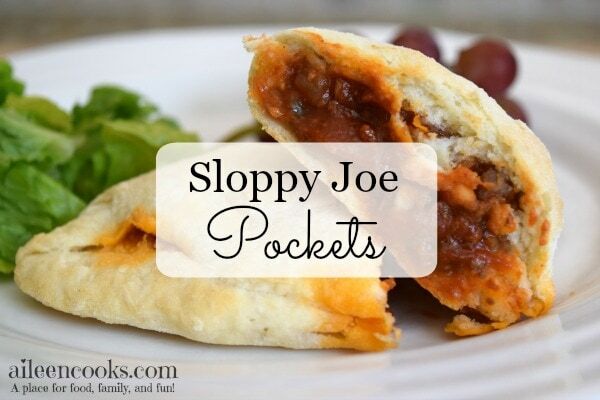 The nice thing about sloppy joe pockets is they are convenient. They are perfect for those busy nights where you have to be out in the evening but don’t want to spend the money on eating out. They are also freezer friendly, so you can make a big batch and pull them out individually for a quick lunch or dinner (much like this beef and cheese burrito recipe). Start by sauteing your veggies and meat. Whisk together your sloppy joe sauce and pour it over the meat. Let it simmer until most of the sauce is soaked up in the meat. Whip up your biscuit dough and roll it into a log. Break the log into pieces and fill each with the sloppy joe filling. Fold over the dough to create a pocket and crimp the seams with your fingers. Bake in the oven and enjoy a hot and delicious sloppy joe pocket. How to freeze sloppy joe pockets? There are two ways to freeze sloppy joe pockets. Flash freeze them on a cookie sheet (not touching) for 1-2 hours, then place in a freezer bag back in the freezer. Wrap individual pockets in foil and place in a freezer bag or other freezer-friendly container. To reheat: cook in the microwave on medium power for 2-3 minutes, until hot. Preheat your oven to 450 degrees. Line a large cookie sheet with foil and set aside. Add the diced onion and bell pepper. Cook until soft, about 3 minutes. 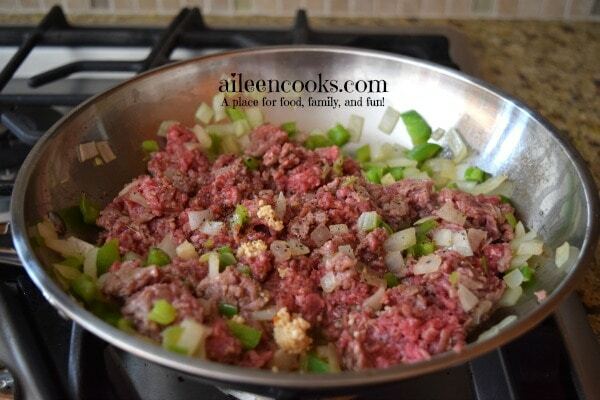 Mix in the ground beef, minced garlic, salt, and black pepper. Continue to cook until the ground beef is browned. 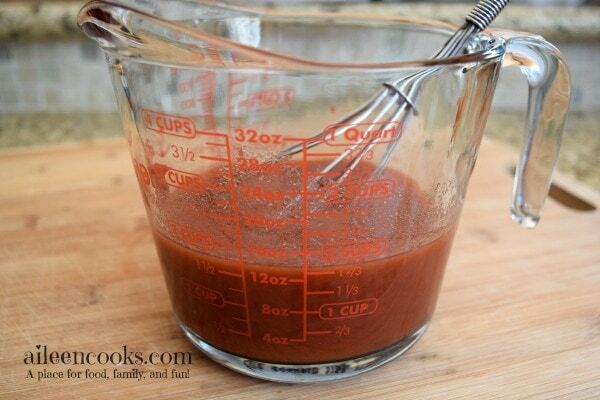 Whisk together the water, tomato paste, BBQ sauce, ketchup, and Worcestershire. 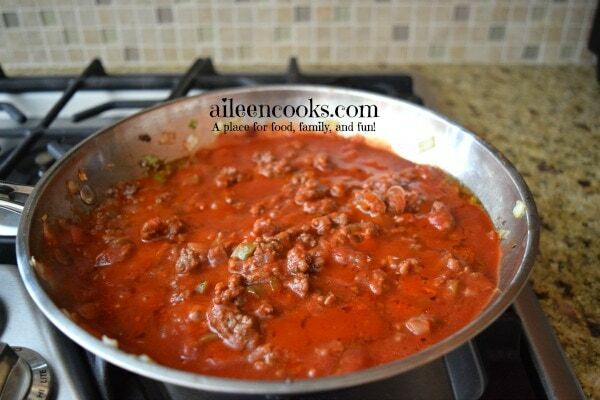 Pour it over the meat and simmer on low for 10 minutes, until most of the sauce is absorbed. Remove from heat. Meanwhile, whisk together the flour, baking powder, and salt in a large bowl. Mix the butter pieces into the flour mixture and break it up with a fork or your hands until the mixture resembles peas. Pour the milk into the flour/butter mixture and mix until a dough forms. If too sticky, add a bit more flour. If too dry, add a bit more milk. 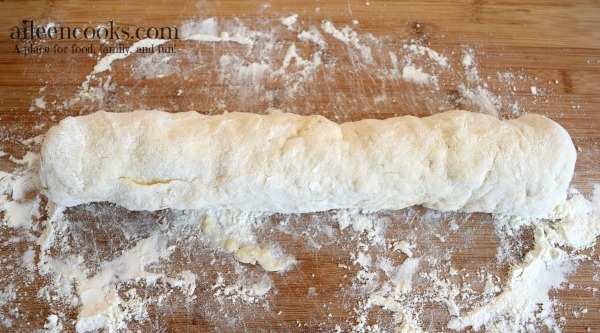 Once the biscuit dough is prepared, roll it out flat on a floured surface and then roll the dough lengthwise into a log. Use a rolling pin to roll each piece into 6-8 inch circles. Scoop the sloppy joe filling into the center of each round. 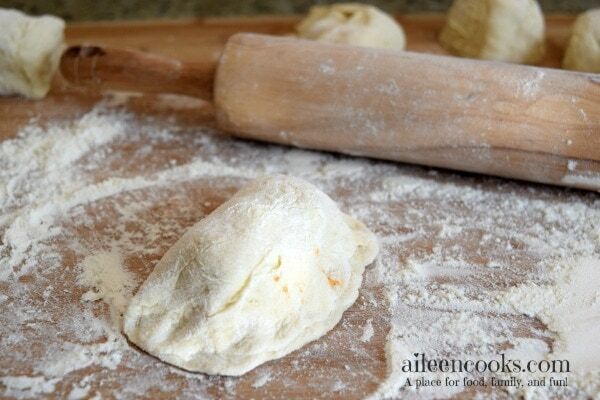 Gently fold over the dough and press the seams together with your fingers. Using a spatula, scoop each pocket up and place on the lined cookie sheet. To freeze, allow the pockets to fully cool and freeze in a zip-top freezer bag. Microwave on high for 3-4 minutes from frozen to reheat. Note: this recipe was originally published in May 2016. 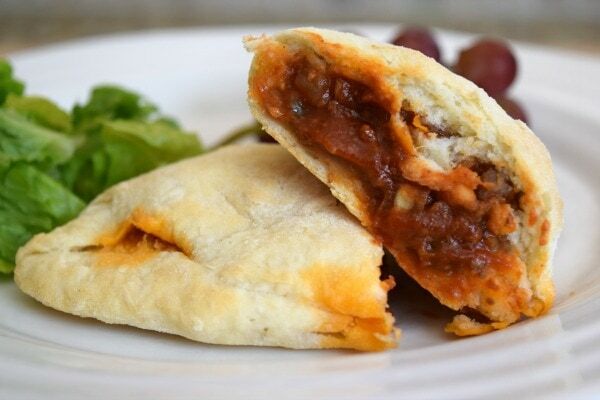 Did you try this recipe for sloppy joe pockets? Let us know what you thought below with a rating and comment or tag us in your pictures on social media using @aileencooks. YUM! These look great – the boys will love them! What a great idea! My son loves sloppy joes. I can’t wait to make this for him. Thanks for sharing ? I used to eat a sloppy joe alot as a kid. I forgot all about them but I really like them. 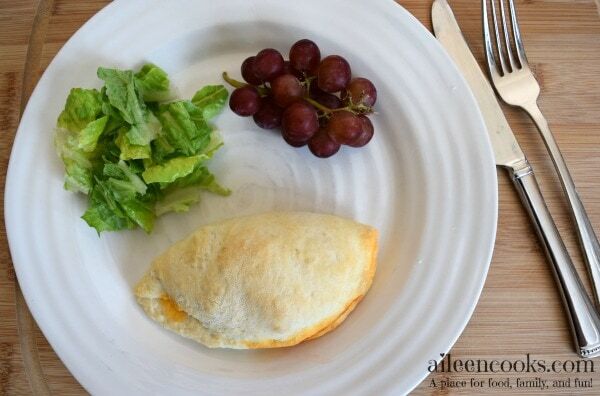 The Sloppy Joe Pockets is a cool idea and looks really good. I love simple dinners! Love this idea! My kid loves Sloppy Joes but I cringe every time she eats them because I know I will have a huge mess to clean. This is a very helpful tip. The regular ones definitely are messy! This looks so good and it is more kid friendly since it is not as messy. Putting this on the menu for next week! Perfect for a busy night of after-school sports! Kid-friendly? How about big-kid husband friendly! My husband would go gaga over these! My husband loves anything in a pocket, too! Those look so great! It’s been a really long time since I’ve had sloppy joes, so I have to try yours soon! I love how freezer friendly these are (and not nearly as sloppy as regular sloppy joes)! What a great twist on an old classic! I haven’t had sloppy joes in SO long – this looks great! That sounds like a dinner my family would love and I love that it seems like a less messy sloppy joe. Definitely less mess! I gave these to my kids in the car the other day. There were a few crumbs, but no messy hands or faces. This seriously is something fun to serve the kids and sounds super yummy. My family would love this recipe. Pinning for later! 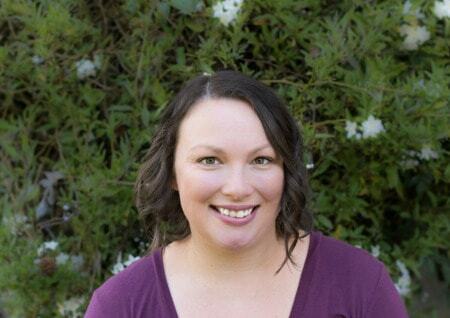 Found you on Money Saving Mom. Your calzones sound delicious, Faith!